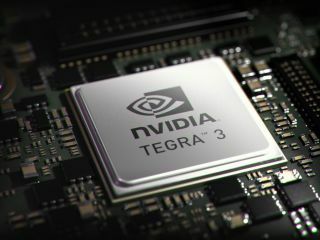 Nvidia has revealed further information on its new Tegra 3 quad-core mobile processor providing a name for the five-core setup it actually uses. If you're already familiar with the Tegra 3 chipset you'll know that it has a "companion (or ninja) core" along side the main four processors. Nvidia has now confirmed it's officially calling the set up 4-PLUS-1 quad-core architecture, providing customers with an easy to use name. This new structure allows the Tegra 3 chip to provide "both exceptional processing power and great battery life" – as the main four cores take the grunt of the demanding tasks while the fifth deals will low power, less strenuous tasks. The Tegra 3 quad-core chip with its 4-PLUS-1 architecture will be making an appearance at MWC 2012 in a number of high-end devices, including the HTC One X and LG Optimus 4X HD. Expect the Tegra 3 to appear in handsets and tablets beyond MWC 2012, as manufacturers look to get maximum power while conserving precious battery life. We will be visiting MWC 2012 in Barcelona to get the latest from Nvidia and the phones which are packing its Tegra 3 processor.